If you are looking for a peaceful lifestyle yet, at the same time, fun and adventure filled, Thailand is the perfect place to live. You can leave the rat race behind and enter a land which has natural beauty and is rich with culture, which means that there is so much to do and lots to explore. Thousands of Australians have already made the exciting move to ‘The Land of Smiles’ and the results are in: Thailand is an affordable, exotic and safe place to live. 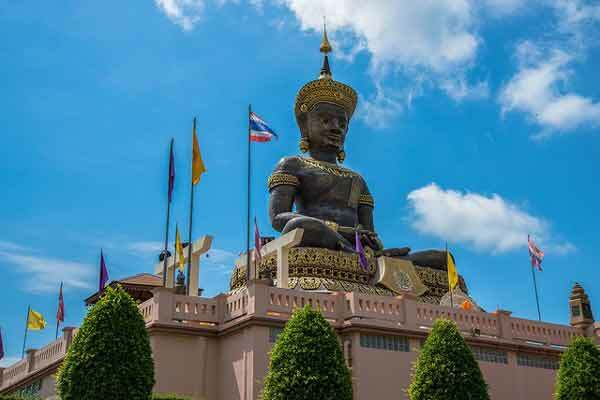 Let’s take a closer look at the strengths of life in Thailand and some points to consider if this country is on your retire-overseas radar. Some would say it’s ridiculous how cheap Thailand is. Rentals are readily available and range from inner city condos to houses to grand, teak, Thai-style country estates. There has been so much building in the country it is a renters’ market. This means that you will find a place to live within your budget plus you will benefit from great yet inexpensive internet. Actually, you can find a studio apartment for as little as $260 per month in the Northern Thai city of Chiang Mai. Think about what it would be like to pay water rates as little as $8 per month and electricity bills at $50 per month. You simply cannot lose on savings like these. Delicious meals and fresh food are close to your doorstep and can cost as little as $2 per meal. If you have a love for spicy Thai curries and salads, eating will be an absolute pleasure every day. On the other hand, if you prefer more western foods like hamburgers and pizza, you will not be disappointed. There is a restaurant for everyone in Thailand. If you are like most people, you probably want to spend your time on your interests or improve your health and well being. Today more than ever, Thailand offers an enormous range of activities and communities, so that you can maximise your leisure time. There are golf courses, gyms, fitness classes, book clubs, scrabble groups, artists co-ops and so much more. A monthly gym membership can cost as little as $40 per month and the social groups are often just the price of the meal you eat at the nominated restaurant meeting place. Whether you are single, married or a family, there are things to do that will meet your needs. Expats and people who are just on short stays of three to six months will find many communities and events online to find things to enjoy. 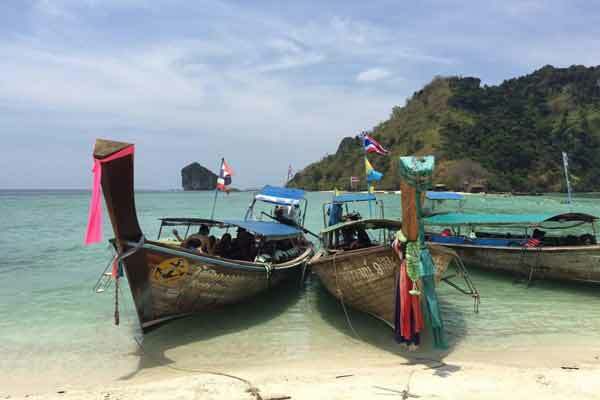 Part time expat, Heather Bache, originally from Melbourne says, “Thailand is a great place for healing.” Actually, there are many affordable ways to improve your health and well being in Thailand. How good would you feel if you could have a massage every week for as little as $8? Thailand is also internationally recognised for alternative therapies such as acupuncture, herbal medicine and gentle exercise called Qigong. “A blind remedial masseuse called Mr Sinchai helped me recover from a broken back. He is amazing,” she says. As a result of this lifestyle, it is possible to be a better you! Naturally, if you are considering Thailand as a place to live, you must already be an adventurous person. Thailand is a country of many flavours which means that travelling within the country can give you many different experiences. If you love smelling the salt air of the beach, drinking tea over looking fertile rice paddies, exploring ancient ruins or jungle trekking, Thailand has the travel opportunities for you. From the main city of Bangkok, most places within Thailand are just a short hour or two hop away. Actually, there are many reliable forms of travel in and around Thailand which means that you can travel on your own terms. 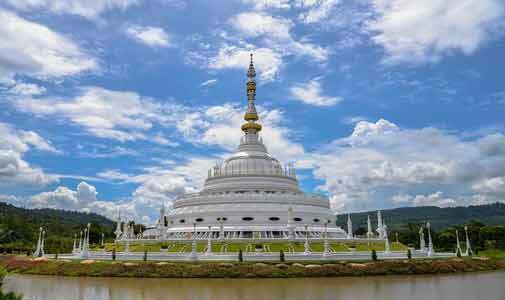 You will also be thrilled how easy it is to use Thailand as a platform to explore other parts of South East Asia and beyond. Planes, trains and buses are all good forms of getting around and prices are very affordable. 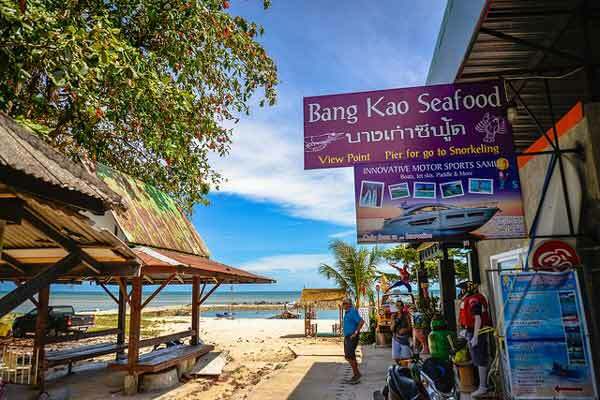 When I discovered that a plane fare to Ao Nang beach from my home town of Chiang Mai was just $120 return, my husband and I decided we would have a long weekend at the beach every month. You just can’t lose with that kind of freedom. It’s no secret that life is a double-sided coin, and that there will be challenges that pop up whereever you chose to live. Personally, I haven’t found the challenges of living in Thailand particularly difficult, nevertheless it is important to consider all the implications of moving to Thailand. English is not the main language spoken in Thailand. However, many Thai people have actually studied it at school, but never had the opportunity to practise it. This means that in some places they will not understand you. If this is the case, just smile, point or mime as 97% of the time, this works. Yet seriously, this provides a wonderful opportunity for you to learn the language. I love my Thai language lessons and they only cost $10 per hour. You can have a lot of fun practising Thai in shops and at restaurants, and it even helps you make friends… so why wouldn’t you jump in and have a go! Sure, I make a lot of mistakes, but we all laugh and make the most out of the silliness of my expressions. In fact, you can use everyday experiences to better your Thai. I have since discovered that my massage lady and hair dresser also make great teachers and they love to help. The best news is that all government officials and places such as banks have staff who speak English. So, for all the important things, you will be okay. Some people think that the visa rules are too complicated to live in Thailand. There are requirements around age, proof of income and 90 day reporting. Look at it this way, there are a few hoops to jump in order to live in Thailand. But once you learn about them and the process, it isn’t that difficult. Actually, if you don’t want to do all the reading and thinking, you can come over to Thailand and get an agent to do it all for you, for just a few hundred dollars. If you have read the Thailand Embassy documents and you are still confused or need clarification, the Facebook page Thai Visa Advice is excellent for questions. An expat called Tod Daniels is the admin for the page and he always has up-to-date information. It is worth a look for sure. When you toss up all the benefits of living in such an exotic and inexpensive country, it is worth an hour or two of hoop jumping. That is why there are already so many Australians living in Thailand already, right? Thailand is a country of agriculture, fresh fruit and vegies, rice and coconuts are grown throughout the country. The downside of this is that during March and April the farmers in the north of Thailand burn off the residual crops. The smoke can affect the entire north of the county as well as Bangkok, so the air quality is not the best during that time. Of course, many expats use this time to travel or visit home. Quite a few spend a month in Vietnam and a European trip is often booked with the excuse of the smoke. However, be assured that it is not as bad as it sounds. There are measures that you can take if you live in a smoke affected area. We buy filters for our air conditioners and we also have an air purifier in every room. We only use them for the burning off period and if we are out for long periods of time we wear special masks that cut out fine particles. All you have to do is prepare a little the smoke issue is easy to get around.